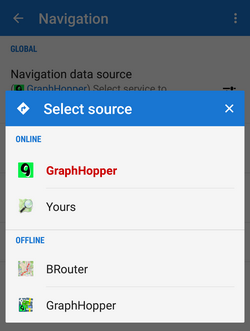 GraphHopper - very fast and data-efficient routing service. 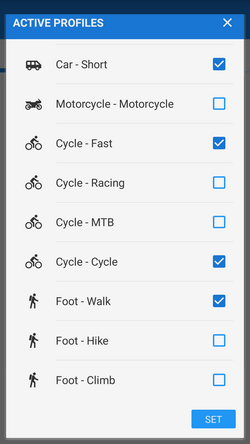 Suitable for all ordinary outdoor activites - three kinds of bike profiles: cycle, MTB and racing and two types of walk profiles: walk and hike. GraphHopper offers also a car navigation profile. YOURS- open source routing engine offers point-to-point route calculation suitable for guidance without voice commands. Very good results in calculating bike routes. 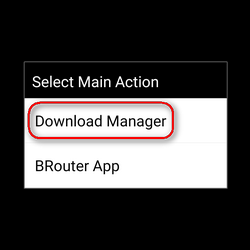 Confirm downloading of the selected data file. 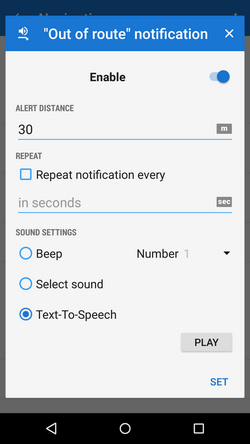 Text-to-speech - Android text-to-speech automatic system. It is possible to download other voice sets from the Locus Store or from Locus community. Voice is set in Language&Units settings section. Point priority - Locus recalculates the route to the nearest transit (or 'via') point on the planned route. If there are no 'via' points, it recalculates the route to the final point. Route priority - used when you deviate from the original line and want to get back to it - Locus navigates you to the original line as soon as possible and on the nearest place - the line (route) matters. Settings for manual recalculation that can be triggered from navigation panel. Strict route following - each route consists of a chain of routepoints (sort of breadcrumbs). This option navigates strictly from one routepoint to another. When you make a deviation, it tries to get you to the last omitted routepoint. Keep in mind that this feature may come into conflict with your intentions e.g. when making unwanted detour and part of the original route is not accessible - it will keep navigating you to the first missed routepoint. 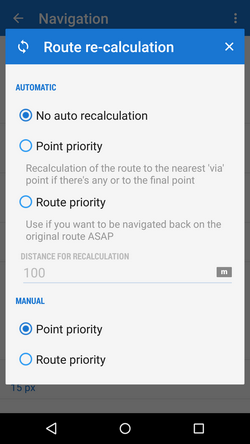 If you want to skip a routepoint, switch it manually to the next nearest point in the Navigation control menu. This feature does not work when Auto-recalculation with Point priority is ON. Frequency of commands - manually drawn or imported routes do not contain navigation commands so when you select navigation along such a route, Locus has to generate the navigation commands according to the shape of the line. 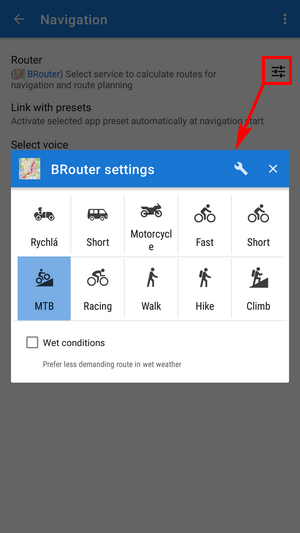 This setting defines how often you are prompted of direction changes on the route: none - low - medium - high. Two commands at once - when two turns of a route follow closely, Locus Map notifies of both of them at once. Unchecking divides the navigation command into two separate ones. Sets the color of navigation line. 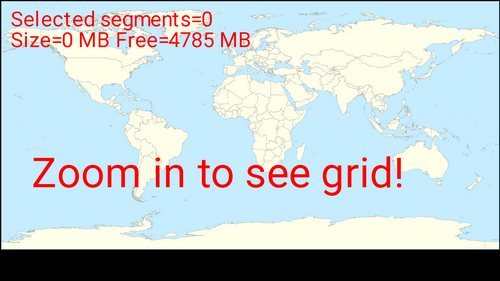 Defines width of the route line in pixels.